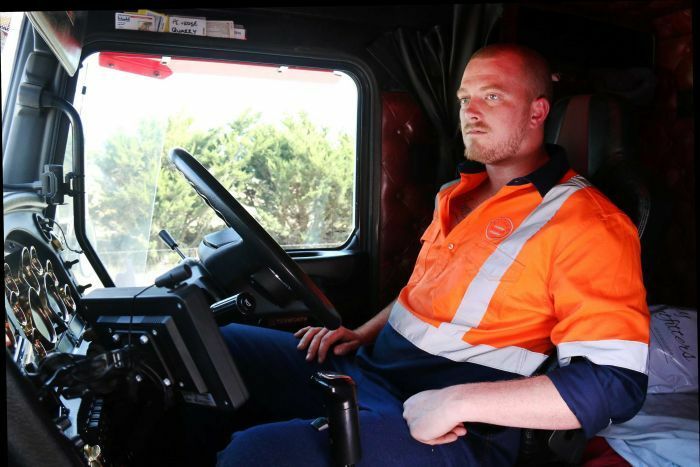 The National Transport Commission (NTC) and the Cooperative Research Centre for Alertness, Safety and Productivity (Alertness CRC) has released the results of a world-first study into heavy vehicle driver fatigue. Spokesperson and theme leader for the Alertness CRC Associate Professor Mark Howard said the research involved a study of more than 300 heavy vehicle driver shifts both in-vehicle and in a laboratory, as well as 150,000 samples of retrospective data. ‘We found that slow eye and eyelid movements, longer blink duration and prolonged eye closure are reliable predictors of drowsiness and fatigue’, Associate Professor Howard said. ‘This is critical new evidence that will ultimately help to decrease heavy vehicle fatigue risk at a time when the nation’s freight task is expected to double by 2030’, Dr Miles said. Greatest alertness levels can be achieved under current standard driving hours for shifts starting between 6am and 8am, including all rest breaks. -After 15 hours of day driving when a driver starts a shift before 9am). -After 68 hours of night driving (when a driver starts a shift in the afternoon or evening). -After 5 consecutive shifts when driving again for over 13 hours. -When driving an early shift that starts after midnight and before 6am. -During the first 1-2 night shifts a driver undertakes and during long night shift sequences. -When a driver undertakes a backward shift rotation (from an evening, back to afternoon, or an afternoon back to a morning start). -After long shift sequences of more than seven shifts. -During nose-to-tail shifts where a seven-hour break only enables five hours of sleep a duration previously associated with a three-fold increased risk for motor vehicle accidents.